Online booking opens on Monday (October 26) for skating sessions at Bury St Edmunds’ first ever real ice rink after a strong start for early pre-bookings. Skaters will be able to book online at www.ourburystedmunds.com/icerink. Tickets are expected to be popular and some sessions are likely to sell out so those wanting a particular date or time should ensure they book early. 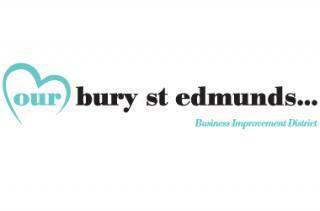 The ice rink, which is being brought to the town by the Business Improvement District (BID) organisation Ourburystedmunds, will be in the arc shopping centre from December 5. It will be open every day, except Christmas Day, until January 3 and is expected to attract thousands of visitors to the town centre. Ourburystedmunds Chief Executive Mark Cordell said: “I’ve been delighted with the interest shown so far and we have a number of exclusive party bookings made already. There is a real air of excitement about this attraction which will be the first time that Bury St Edmunds has ever had a real ice rink. Tickets cost £8.50 for a session, which includes half an hour on the ice and free skate hire. Tickets for children aged 12 and under cost £5.50 and a family ticket for four including up to two adults is £22.50. To enquire about hiring the ice rink for a private group booking please contact Jackie Regan in the Ourburystedmunds office on 01284 766258 or by email to jackie.regan@ourburystedmunds.com.